Seems like Mikel Obi is really happy.. And enjoying a family moment just a day after displaying a superb performance in Crystal Palace vs Chelsea match on Sunday. 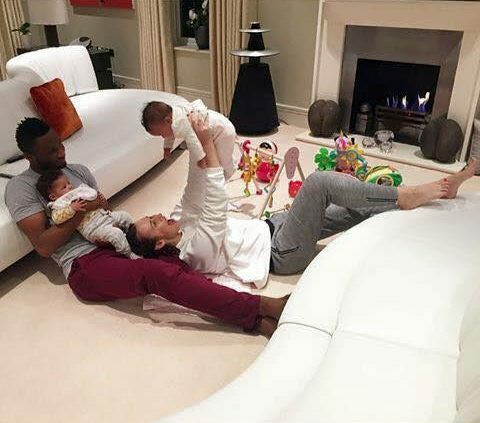 Mikel Obi shared a cute bonding moment with his young family in the latest Instagram photo. He captioned the photo "Good Evening! Play time! #HappyFamily"